The makeup trial sessions will give us a chance to get to know each other as we try out different looks for your unforgettable day. I can advise you on colours, looks and styles and offer valuable tips from my experience as a wedding-specialised makeup artist. 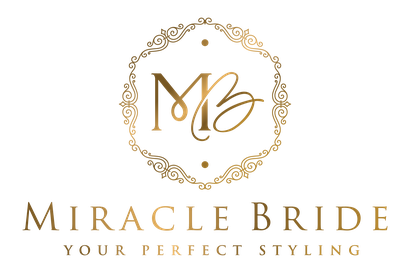 I will prepare various looks for you based on your ideas and personal style, and together we can pick the perfect one that will also serve to complement your wedding theme. It is crucial to me that you have a choice, so I will create two eyeshadow variants for you to select from. During the makeup trial, I will also be happy to assist you with any questions you have regarding the planning of your wedding. Through my vast network in the Swiss wedding industry, I can provide helpful tips and recommend many service providers such as photographers, florists, caterers and more. The makeup trial will be done at my studio in District 6, and usually takes place around 1-3 months to 1 week before the wedding – although of course you can also book the trial 6 months or longer in advance. Many of my clients opt for this, as it clears one task from your to-do list and allows you to take a breath before tackling the rest. But of course, it is up to you and I would like you to do what suits you best! A partial payment will be due on this day. Important: in order for me to work in the most optimal conditions and to style your hair to your liking, it is essential that you wash your hair the night before. If your hair is smooth or difficult to style, please refrain from using any conditioner or masking products. · Of course, you are welcome to bring your mother, maid of honour or sister to the trial, but please do not forget that this day is about you and not so much about the opinion of others. The trial styling session is often delayed when too many people are present.